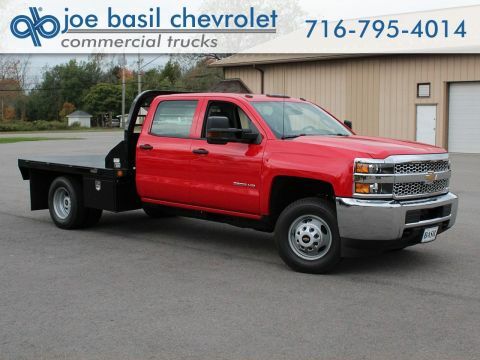 Audio system, Chevrolet Infotainment System with 7 diagonal color touch-screen, AM/FM stereo with seek-and-scan and digital clock, includes Bluetooth streaming audio for music and select phones. Back-up alarm calibration This calibration will allow installation of an aftermarket back up alarm. 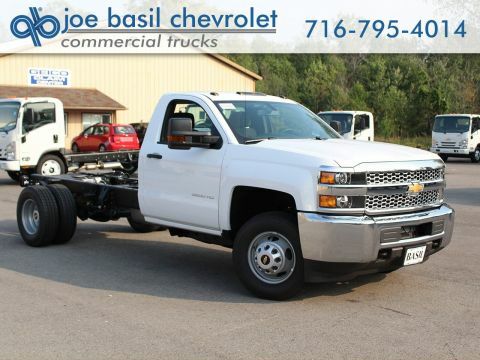 WT CONVENIENCE PACKAGE includes (DPN) outside heated power-adjustable vertical camper mirrors (DD8) inside rearview auto-dimming mirror and (AQQ) Remote Keyless Entry; Regular Cab also includes (A31) power windows. 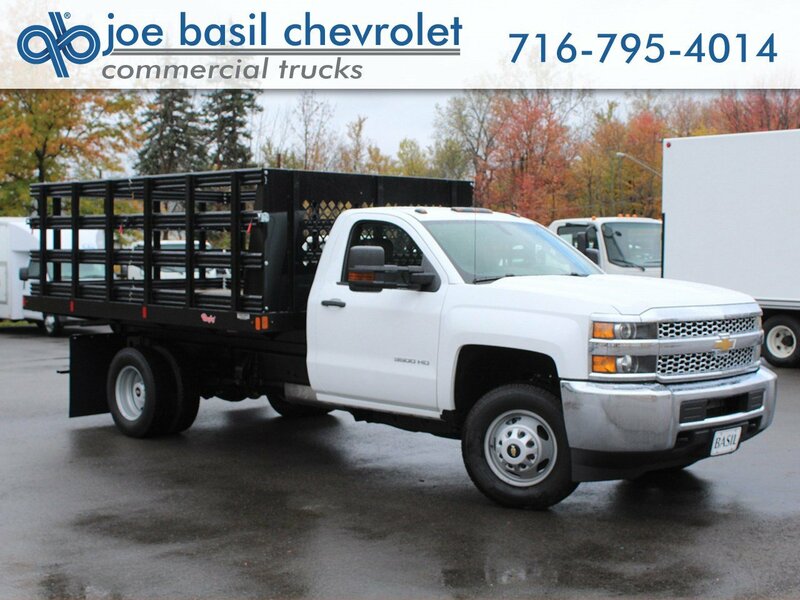 Joe Basil Chevrolet offers the largest selection of Commercial Trucks in New York State including HD Pick-up & Plow Trucks, Cargo Vans, Cube Vans, Dump Trucks, Service Bodies, Stake Bodies and Cab & Chassis! 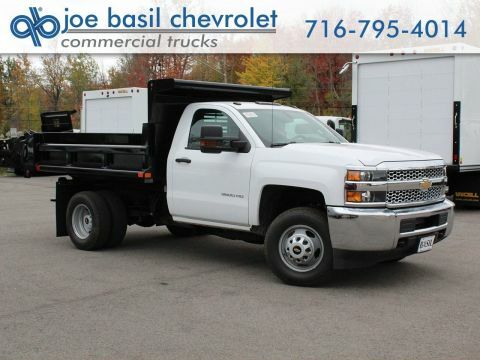 Call (716)683-6800 and ask for Commercial Trucks for more information! Joe was was helpful explaining the detail sand finding the best deal for my budget. He did a great job finding me a car for my wife anniversary surprise. Had complete brake failure so had flat bedded to Basil. 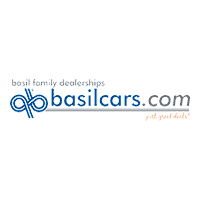 Repaired quickly but with bad parts that now require to do another brake replacement and being charged for the deductible portion which stinks if dealer put bad parts in when repairing. Also is major defective thinking to no longer design split master cylinder for partial braking still being available. Try stopping a 6,000 pound vehicle with no brakes and no backup mechanical emergency brake... Good way to kill people as I almost creamed an elderly pedestrian with a bad limp.